Amazon is hoping Rivian will assist it in its development of delivery vehicles that will bolster its logistics network, according to a person familiar with the matter who asked not to be identified discussing the confidential strategy. The deal represents a major endorsement of Rivian's electric vehicle technology by the world's largest online retailer. Amazon is hoping Rivian will assist it in its development of delivery vehicles that will bolster its logistics network, according to a person familiar with the matter who asked not to be identified discussing the confidential strategy. Reuters reported on Tuesday that Amazon and General Motors Co were in talks to invest in Rivian. GM's talks with Rivian about an investment are continuing and any deal would be announced at a later date, people familiar with the talks said on Friday. Rivian could ultimately be valued at between $3 billion and $4 billion, one of the sources said. The Rivian deal comes as its much larger electric car manufacturing rival, Tesla Inc, struggles to stabilize production and deliver consistent profits as it ramps up its Model 3 sedan, with pricing ultimately aimed at giving it mass market appeal. Tesla Chief Executive Elon Musk told investors in August that an electric pickup is "probably my personal favourite for the next product" from the company. But he has spoken only in general about a potential launch, saying that it would happen "right after" Tesla's Model Y, which the company has targeted to start production in 2020. Rivian unveiled its electric R1T pickup and R1S SUV for the first time at the Los Angeles Auto Show last November. But the company had piqued Amazon's interest earlier, according to one of the sources. Amazon CEO Jeff Bezos personally reached out to Rivian founder and CEO R.J. Scaringe last summer to express interest in an investment, the source said. Since then Amazon has stepped up its investment in the car sector, participating in a $530 million funding round announced last week in self-driving car startup Aurora Innovation Inc.
Amazon is looking for deals that can speed packages to shoppers' doorsteps regardless of spikes in consumer demand or shortages of delivery personnel. Last year, Mercedes said Amazon had become the biggest customer of its Sprinter vans, securing 20,000 vehicles for delivery contractors. Amazon has sought to win customers inside the car as well. Working with BMW AG, Ford Motor Co and Toyota Motor Corp, Amazon has enabled its Alexa virtual assistant to be installed in new models so drivers can dictate what music they want to hear and what tasks they want it to perform, hands-free. 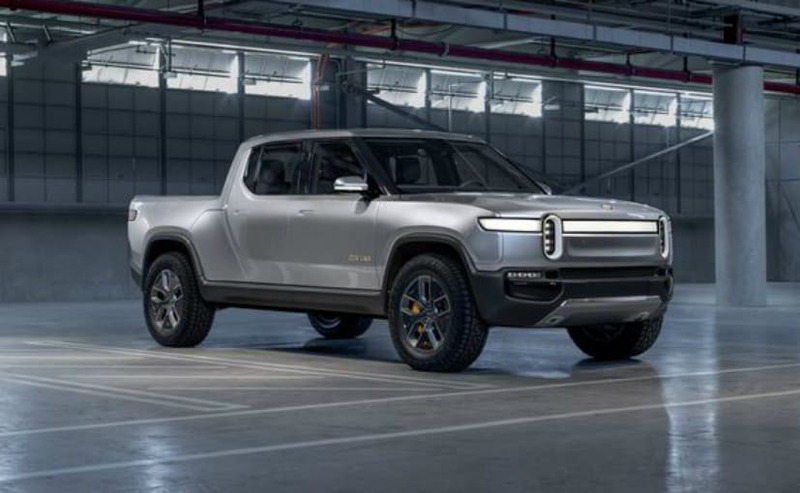 Rivian aspires to be the first to produce a mass market electric pickup. It intends to begin selling its R1T by the end of 2020. Scaringe has described the Rivian vehicle's platform as a skateboard that packages the drive units, battery pack, suspension system, brakes and cooling system all below wheel height to allow for more storage space and greater stability due to a lower centre of gravity. Rivian's existing financial backers include Saudi auto distributor Abdul Latif Jameel Co, Sumitomo Corp of Americas and Standard Chartered Bank. Some existing shareholders participated in the funding round, Rivian said, stressing that it will remain an independent company.